Two gray wolves in Washington state were killed from a state helicopter Tuesday afternoon after officials decided the entire pack — believed to be at least eight wolves — needed to be killed because of repeated attacks on cattle, officials said. An airborne marksman with the Washington Department of Fish and Wildlife killed the two wolves about seven miles from the Canadian border — a week after marksmen and wildlife biologists spent days looking for the pack. Classy. 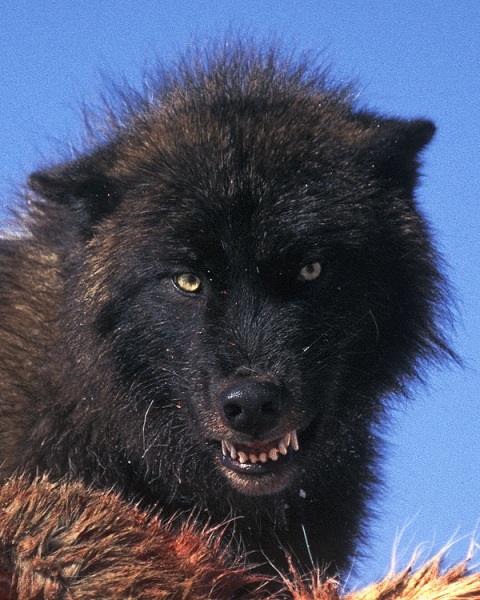 What exactly is the rancher supposed to do if he’s not allowed to shoot the wolves preying on his livestock? Wolves are still listed as endangered in Washington so hunting and trapping them is out of the question. I suppose he could have tried to give them hugs. The danger here is that if they’re willing to attack a half-a-ton of cow that are being tended by humans they might decide the 150 pound two legged cow they see wandering through the herd is a nice appetizer. And before you wolf loving city folk even start with the “wolves don’t eat people” stuff I’m telling you now wolves don’t know what people are so stop pretending they think like you do. We are law enforcement and military family. However, even cops I know don’t get it. A wolf is not just a big dog like a Shepard or Rottweler. It won’t ever be safe around your kids. It’s a powerful killing machine. If one gets in your sheep pen, it kills them all. Then eats one. They are beautiful creatures, but like fire, they must be controlled.